I am really impressed with the hostess sets in this year's Annual Catalogue. These sets are only available to purchase with rewards dollars earned on sales over $250 either with a personal order or a qualifying party order. This one is called Hand Delivered. 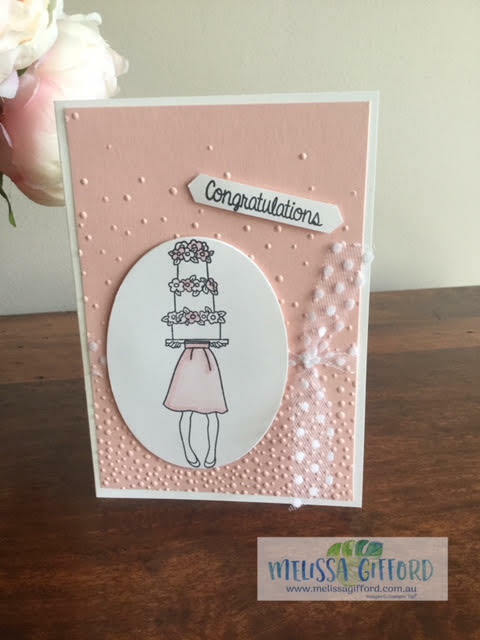 It has a large range of images and sentiments to create just the right card - wedding, birthday, graduation, thank you etc. Why not add this to your next order or contact me to organise a party for you and some friends.